What goes into ranking a town or city as one of the best in America? According to the American Institute for Economic Research (AIER), there are 12 main factors that need to be taken into account to determine such a thing. For cities and large towns, everything from cultural opportunities to professional development to low unemployment rates play a role in the rankings. For college towns, degree attainment and even academic research and development are taken into account. What Makes 55+ Communities Tick? As the baby boomer population continues to “mature,” more and more individuals who are 55 and older are seeking out innovative, yet affordable, age qualified communities. The 55 and up market is not small by any means. 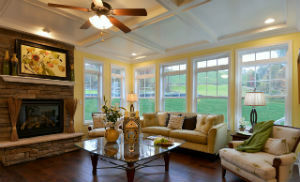 According to the NAHB, 45 percent of home purchasers will be over 55. With so many age qualified buyers in the market, we were curious – what exactly is this segment looking for? Dating back to 1773, Westmoreland County is steeped in American history. 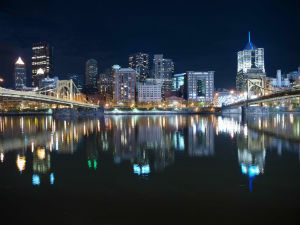 Once the first county to be settled west of the Allegheny Mountains here in Pennsylvania, it is now home to state-of-the art hospitals, award-winning universities and boasts a convenient location just east of Pittsburgh. 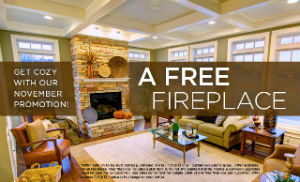 Get a FREE Fireplace this November! Looking for a better way to get cozy now that the cold and crisp weather is settling in for the weekend? How about with a FREE fireplace? At S&A Homes, for a limited time, we invite you to take advantage of our exclusive offer.